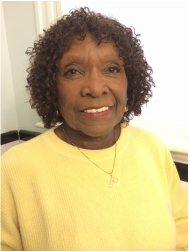 Dr. Goode is retired as Associate Professor of Phychology and Public Policy of Lesley University were she specialized in Multi-Cultural Psychology of the infant, psychology of adolescent and of women and human services Public policy. After retirement she became a member of Phi Delta Kappa international of Harvard University where she received a certificate of recognition for her leadership in Phi Delta International to public education. She has a MS from Boston University and Ph.D at Brandies University. For the last 3 years she has been part of the core group of NIAAS.